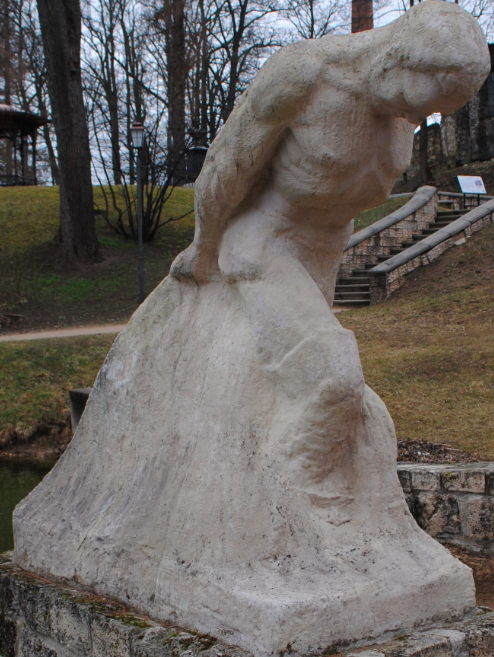 Located on the edge of the pond in Pils Park Cesis are two fishermen retrieving nets, sculpted in stone. The stone sculptures are the work of the Latvian sculptor R. Āboltiņa and adorn the edges of the stairs which lead up through the park. 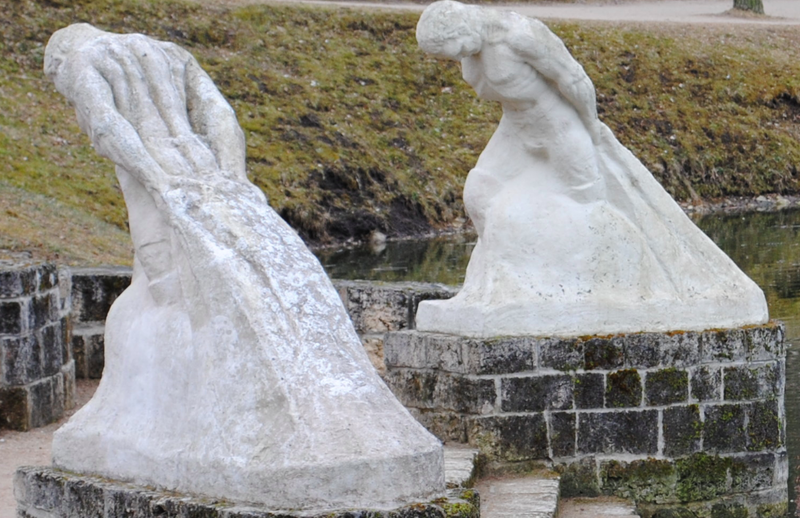 The sculptures date to 1936 when the area was landscaped and improved.